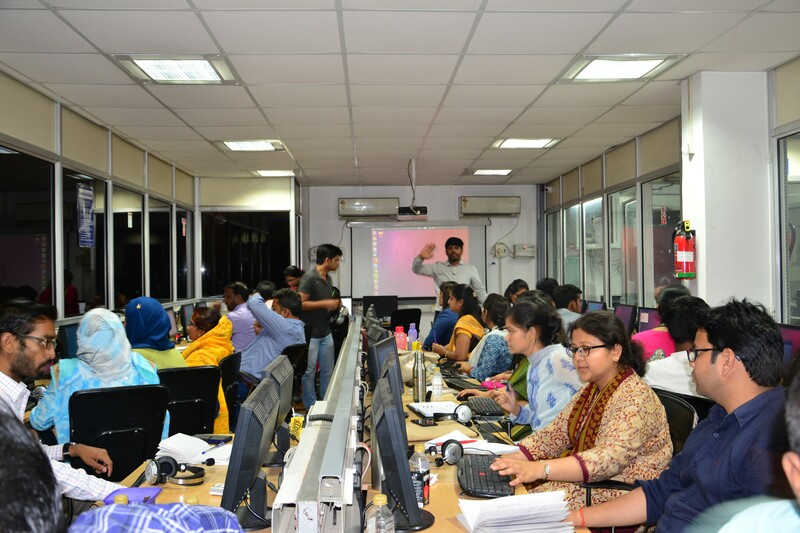 As an organisation located at the unique intersection of development justice and digital rights, IT for Change convenes forums that serve various purposes – promoting dialogue, exchanging knowledge, building research community, providing training, educating the wider community and sharpening advocacy frameworks. Between 16-20 April 2018, UNCTAD organised the 2018 edition of the e-commerce week. This year's theme was “Development Dimensions of Digital Platforms'. Anita Gurumurthy was invited to be a speaker at the session on ‘E-commerce, digital industrialization, and micro, small and medium enterprises'. UNCTAD are organizing a brainstorming meeting for UNCTAD Information Economy Report 2019, which is to focus on "Capturing Value in the Digital Economy in Developing Countries". IT for Change is conducting a district level workshop for MIS coordinators in Hyderabad from 15 - 19 May 2018. Annual Flagship Confluence of Ideas and Thought Leadership being jointly hosted by BPR&D and the Indian Police Foundation on 16&17 May 2018, at the BPR&D Conference Hall, New Delhi. The theme for this year’s conference is : A STRATEGIC DIRECTION FOR POLICING IN THE DIGITAL AGE. The 2018 United Nations Public Service Forum will take place in Marrakesh, in the Kingdom of Morocco from 21-23 June 2018, with the theme of “Transforming governance to realize the Sustainable Development Goals (SDGs)”. Session on 'ICT and Education' in a workshop for 100 principals from high schools and higher secondary schools/colleges at Kristu Jayanti College on 4 May 2018. National Training Programme on "Audit of Universalization of Education"
iCED is holding a National Training Programme on "Audit of Universalization of Education" from 14 May to 18 May 2018 for officers of Indian Audit & Accounts Department. The Teaching Learning Centre of Ramanujan College organized one month Induction Training Programme for young college and university teachers from 9th April-5th May, 2018. ITfC will conduct sessions on 16th April on "ICT: effective use of technology for teaching, learning and evaluation".